“Like other edgy age of Aquarius rock-fests like “Hair,” “We Will Rock You,” and “Hedwig amd the Angry Inch” with much more comedic bent… It’s hilarious, really." From the Orgasmico Theatre Company (The Barking Pig) comes a hilarious rock musical with a very timely subject. It is December 21, 2012 – the date when the Hopi, the Egyptians, Nostradamus and (until recently) the Mayan’s predicted the world would end. An eclectic group of doomsday-obsessed freaks, geeks and capitalists assemble in San Bernardino’s Community Center to argue their theories, hawk their books, and maybe even get laid. As the doomsday clock counts down, each character takes the microphone to deliver a unique rock n’ roll dissertation to the crowd. Grab a nametag and join the symposium to see which “doomer” will be right? 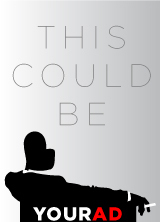 How will the world finally end? What kind of disturbed and embittered individual could possibly believe this crap? The truth shall be known in time. WARNING: THIS SHOW IS CERTIFIED ROCK! 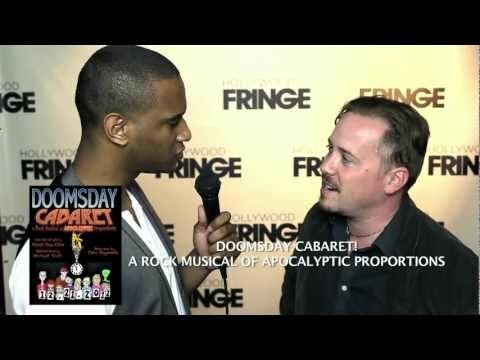 With book, music and lyrics by Michael Shaw Fisher (Barking Pig), direction by Chris Raymond (Beginnings) and Musical Direction from Michael Teoli (Carnevil), “Doomsday Cabaret…” is a timely musical that uses humor and a pantheon of rock-styles to explore a sub-culture of outcasts desperate for an armageddon. Backed by a full band, the cast of “doomers” provoke laughs and sympathy as they face the most frightening conceivable “revelation”: friendship.